the PC in 2 forms (Windows95, DOS), Mac and Gameboy Color. This guide should apply to all versions. Of special note: The Gameboy version is a fairly accurate conversion, but it is missing 2 key features. 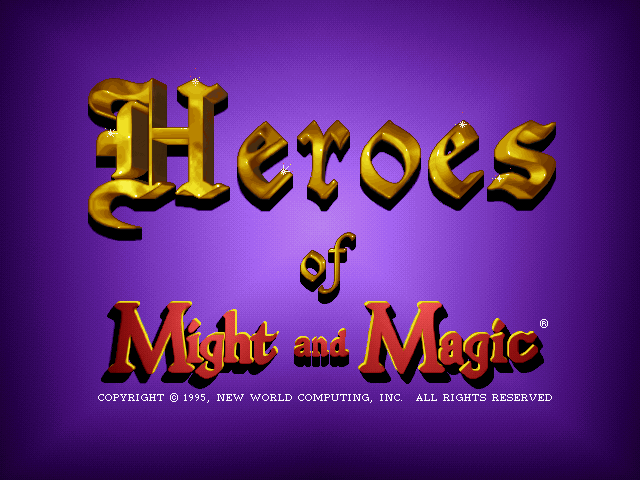 It has no multiplayer option for one thing, which is a major part of Heroes' appeal. Another is that it does not feature a campaign mode, thus you cannot truly get the little semblance of story there was in the first Heroes game. This Shrine is Best viewed in at least 800x600, but anything less is still acceptable while higher resolutions are preferred. Note: The Win95 Version is the only version that has a Map Editor. Mac: Unknown, please email me if you own it. Note: Comes with the Mac version of King's Bounty. Not compatible with Original Gameboy, Super Gameboy, Gameboy Micro or Nintendo DS. I also personally own a copy of the Gameboy version (thus allowing me to legally emulate and thus, sprite rip the game). Thank you Ebay.